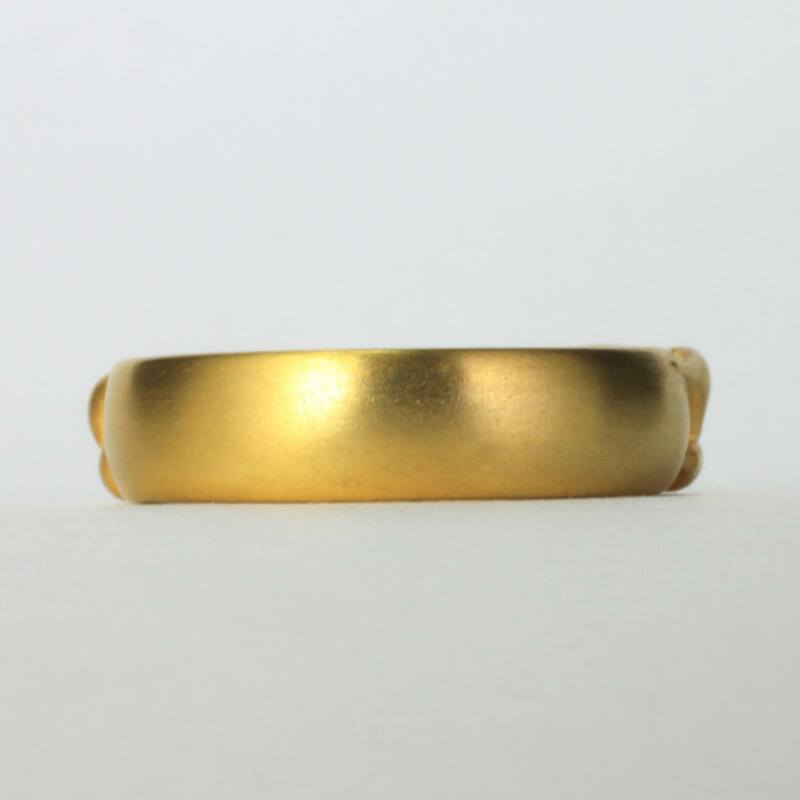 A classic 1/8” ring in 14k or 18k yellow gold. 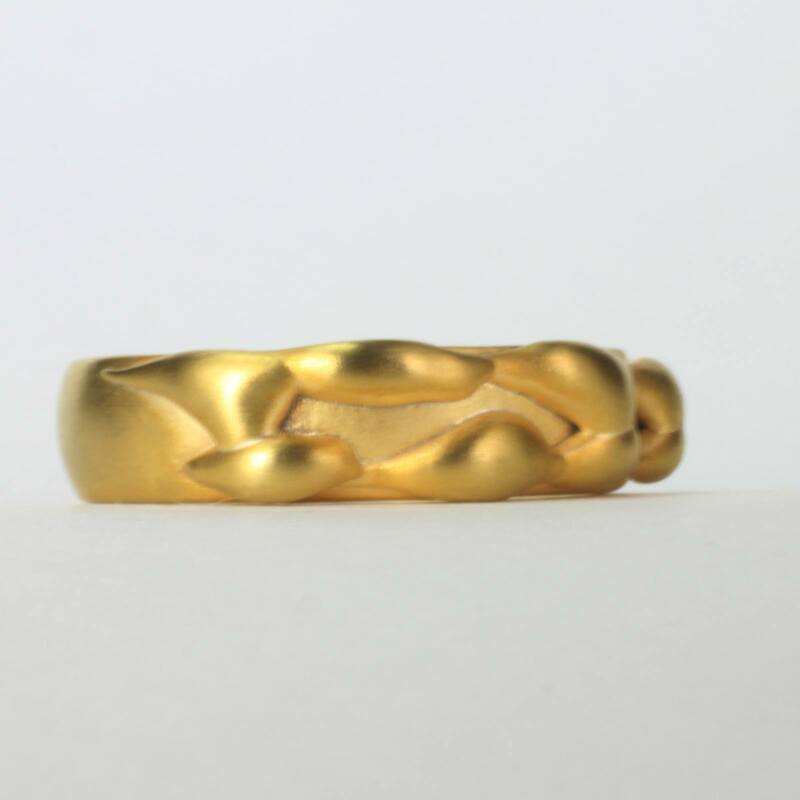 This gold pinky ring is inspired by striving to do good deeds with our hands. This beautiful all metal 1/8″ wide little treasure is designed with double rows of solid cascading gold, and exudes confidence, sophistication, and strength. The kindness gold bar pinky ring is handcrafted using the lost wax technique. This elegant all-metal design has a beautiful cascading gold detail on one side of the semi wide gold band. 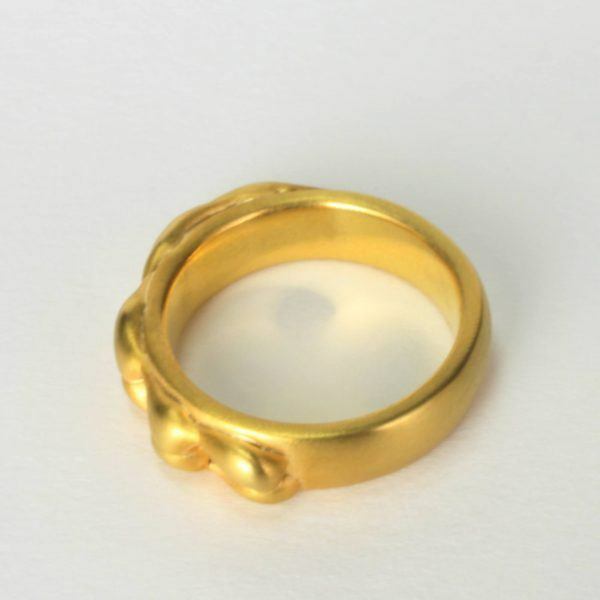 This comfortable gold pinky ring is versatile and will look great with any outfit, day or night. You may also choose to mix and match the kindness pinky ring with other small treasures from the EzzyKaia fine jewelry collection or commission the jewelry designer to custom design another pinky ring for your special event in 14k or 18k gold. The gold kindness bar pinky ring is a great little gift idea created by a local New York City jewelry designer and is available in 14k and 18k gold for your preference. 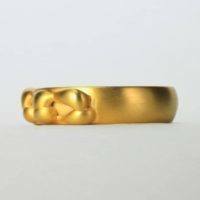 This sophisticated gold pinky ring is apart of a new fine jewelry collection entitled “Sweet” and features other contemporary gold jewels. 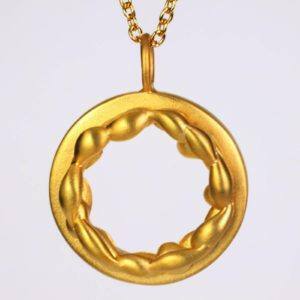 Celebrate a special occasion or birthday with the perfect gift of gold. EzzyKaia can assist you in choosing the best gift for you or for your love one. 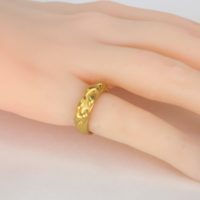 This unusual gold pinky ring will last the test of time as a wonderful expression of your love. 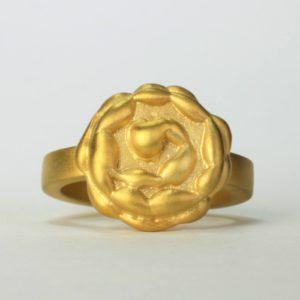 Our fine jewelry collection is stamped with the designer’s logo, and karat amount either in 14k or 18k yellow gold. 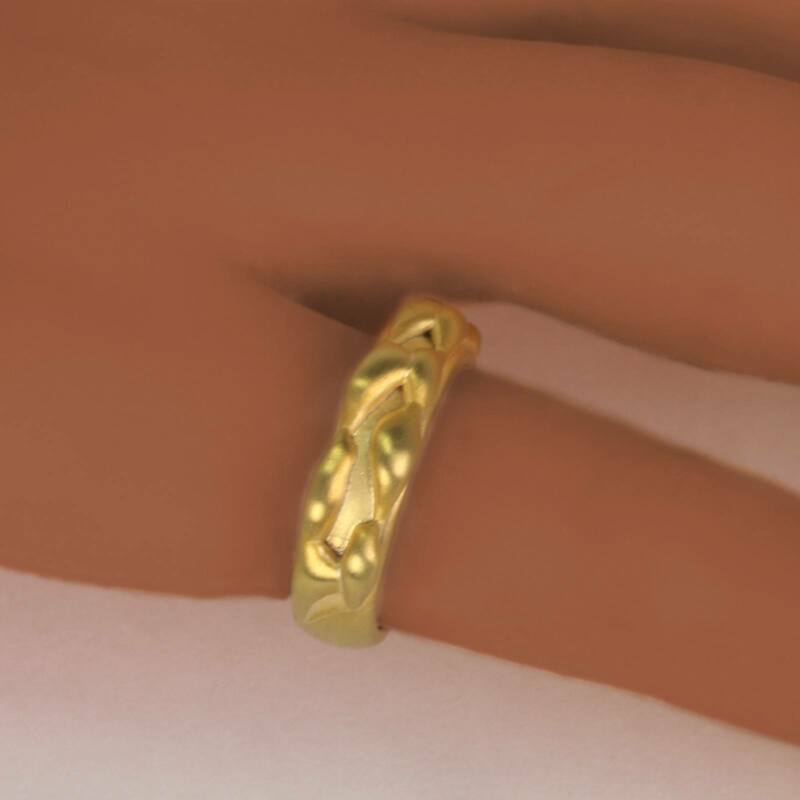 The gold kindness bar pinky ring is unique, and no two pieces are alike. Enjoy free shipping within the USA that is available with our beautiful gold rings. 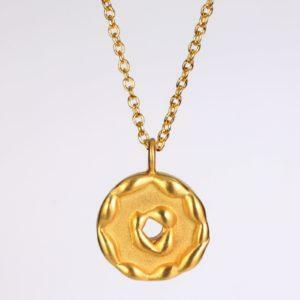 Our fine jewelry are also carefully packaged, and securely shipped with FedEx. Complimentary gift-wrapping is also available for your convenience.